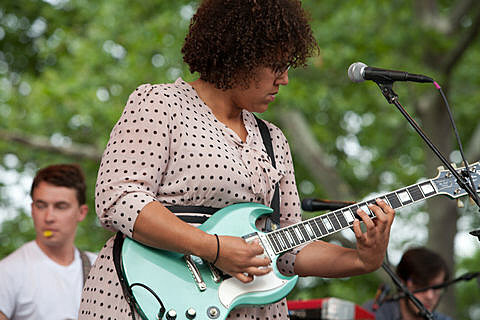 Both Delta Spirit and Alabama Shakes play Lollapalooza-related shows tonight. There are a lot of those this week. Passion Pit, who are headed to Chicago to play Lollapalooza and some aftershows too, have a new video for “Constant Conversations.” Check it out below. Rapper Angel Haze has a new video for “New York.” Watch it below. Divine Fits played their first-ever show at The Continental in Austin, TX last night (7/31). Check out some footage of the band playing “My Love is Real” last night, below. As mentioned, Divine Fits are set to make their Chicago debut at Schubas on August 5.